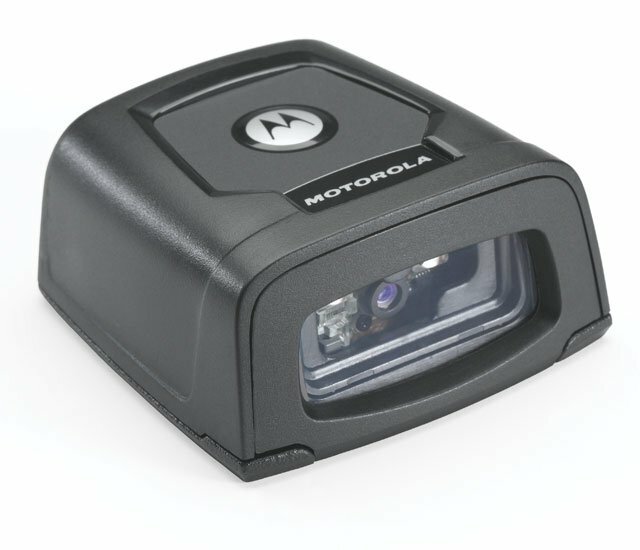 Motorola DS457-DP - SCANNER ONLY, Fixed Mount 2D Imager, DPM. Cables and Accessories Must Be Purchased Separately. These Include USB (Part# 25-58926-04R) Or RS-232 Serial Cables (Part# 25-58918-02R) and A Power supply (Part# PWRS-14000-253R). Enable high-volume hands-free scanning from the retail POS and airport boarding gate to the manufacturing production line with the Motorola DS457. With comprehensive data capture, your workers can scan virtually any barcode, including 1D, 2D and direct part marks. No matter what type of barcode is presented, or whether it is printed on a paper label, etched into a product or displayed on a mobile phone screen, breakthrough digital imaging technology delivers extraordinary scanning speed. The tiny footprint fits in the most space constrained areas. Workers can choose presentation or trigger-activated mode, providing the flexibility for a wide variety of applications. And while the DS457 can be integrated into a wide variety of products, its sleek design is just as at home in customer-facing areas, such as a retail counter. Wall/Counter Bracket, 20 Degree Mounting Scanner Attachment, Black, Compatible with DS457. The Motorola DS457-DP20009 is also known as MOT-DS457DP20009	or DS457DP20009	.